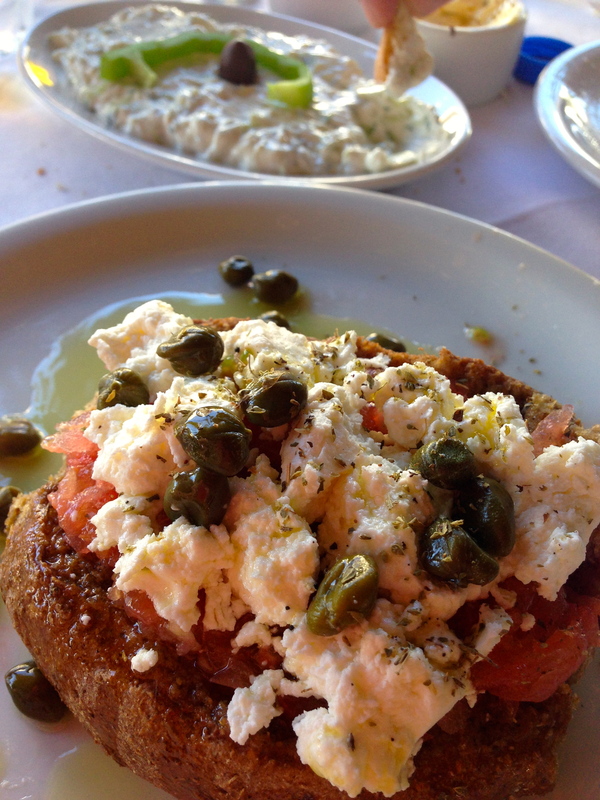 The local delicacy of Dakos: a crusty bread (rusk), topped with olive oil, tomatoes, cheese, and olives and capers. S and I ate this as an appetizer to pretty much every meal on our trip. 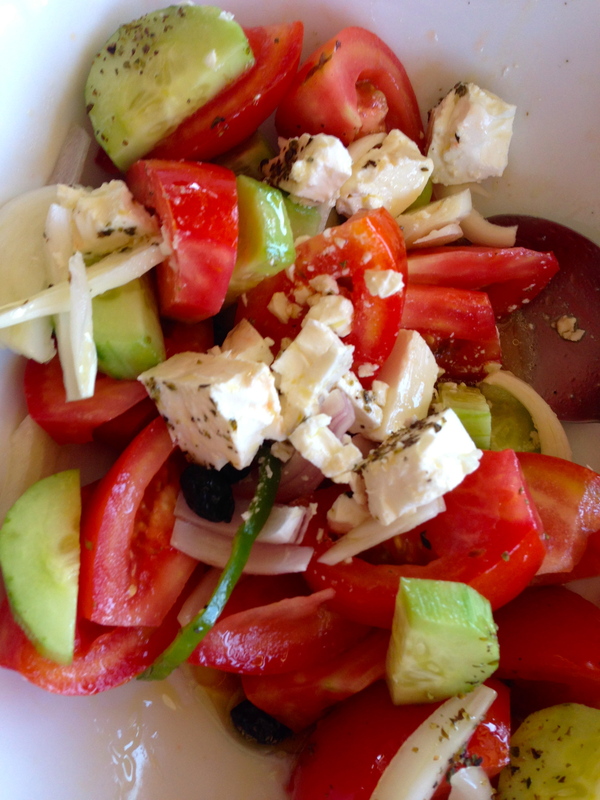 Greek Salad, which we learned from our host comes in countless forms across the island. My favorite form included avocado! 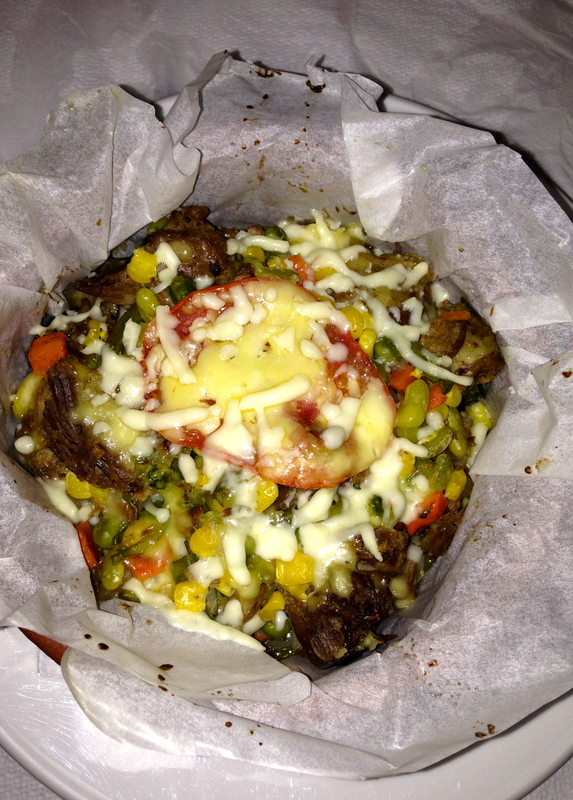 Lamb kleftiko: a perfectly savory, steaming bundle of meat, vegetables, and cheese! S ordered this twice. And I stole most of it of his plate…twice. Moussaka. I couldn’t get enough of this dish! The first thing I did when I got home was try to recreate it. My attempt didn’t work out as planned, so it may be awhile before it shows up on this blog…. For now, I’ll relish the memory of this meaty, fluffy, eggplanty Greek treasure. A heavenly set of apps. 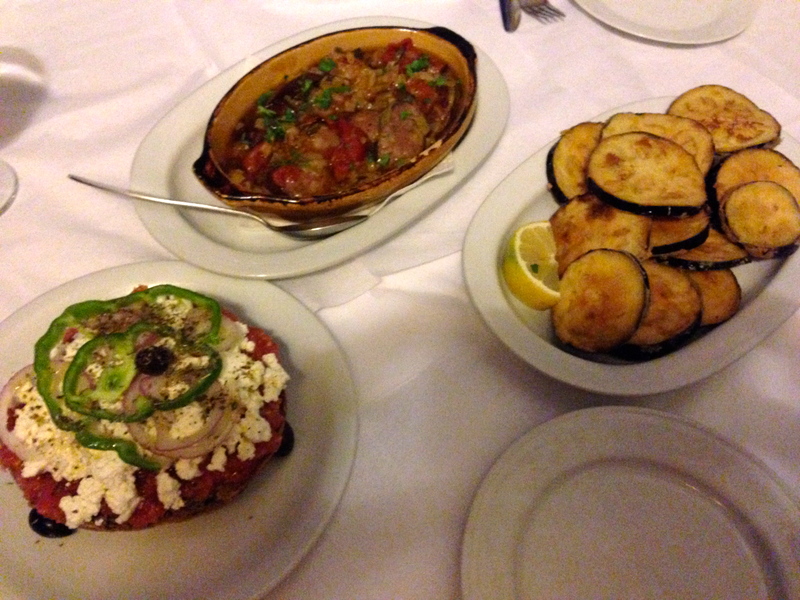 Dakos, meatballs, and a plate of eggplant fried to crispy perfection. 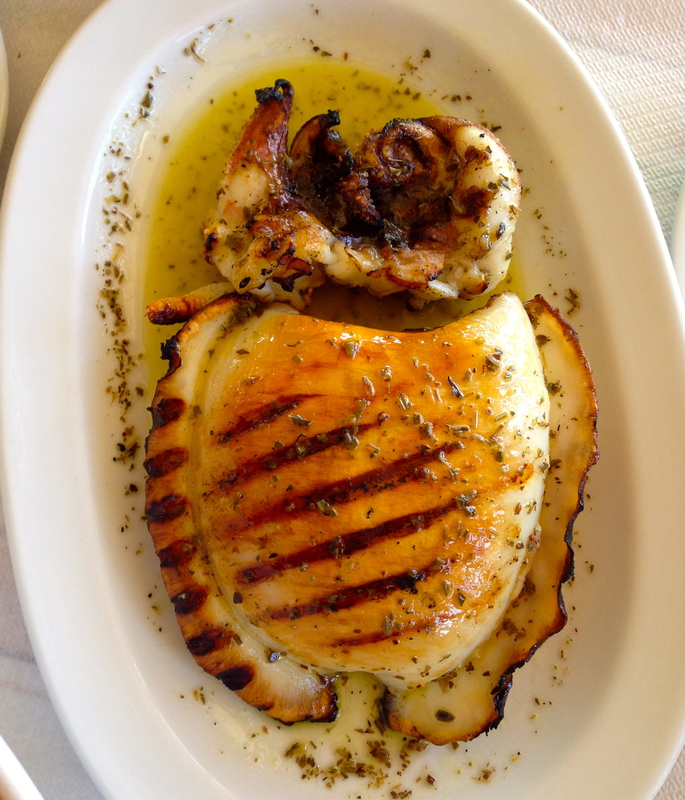 Grilled cuttelfish. So delicious and it looks really cute on the plate. I just googled it though, and the living version is considerably less attractive. The best breakfast ever. 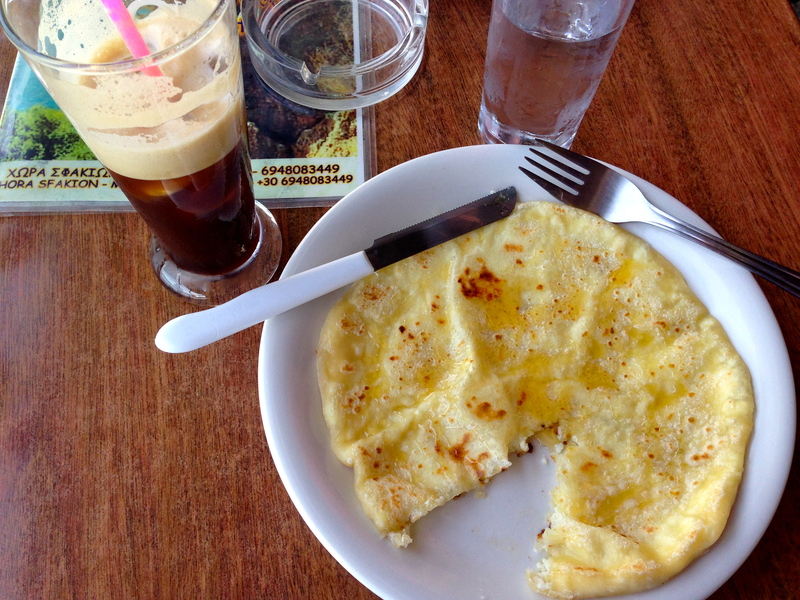 Before we boarded the ferry to Samaria Gorge, we pulled up a chair at a little cafe on the water and ordered the day’s special: a crepe-like pancake stuffed with cheese and topped with honey, accompanied by a cafe freddo. The. Best. Breakfast. Ever. 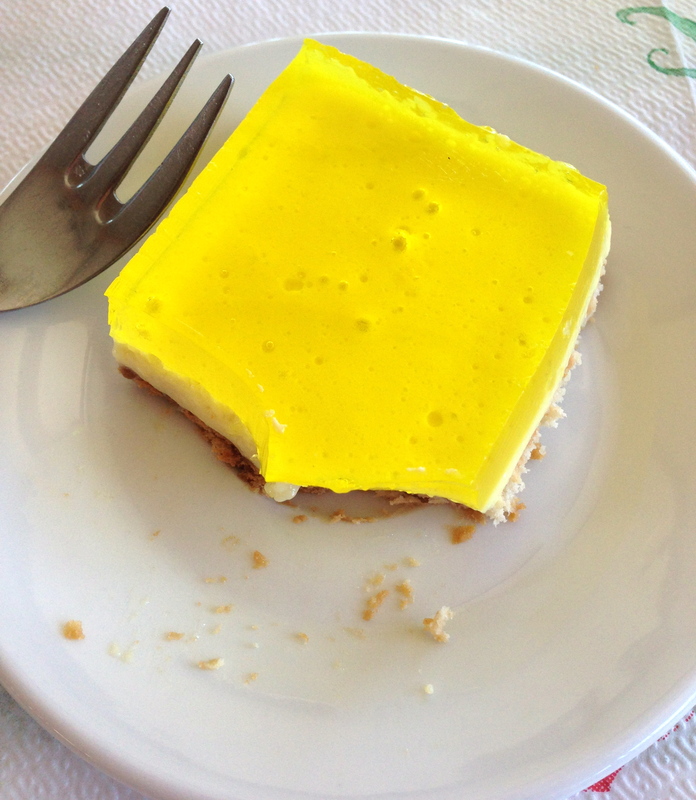 Some kind of jello on a graham cracker crust. I didn’t regret it. 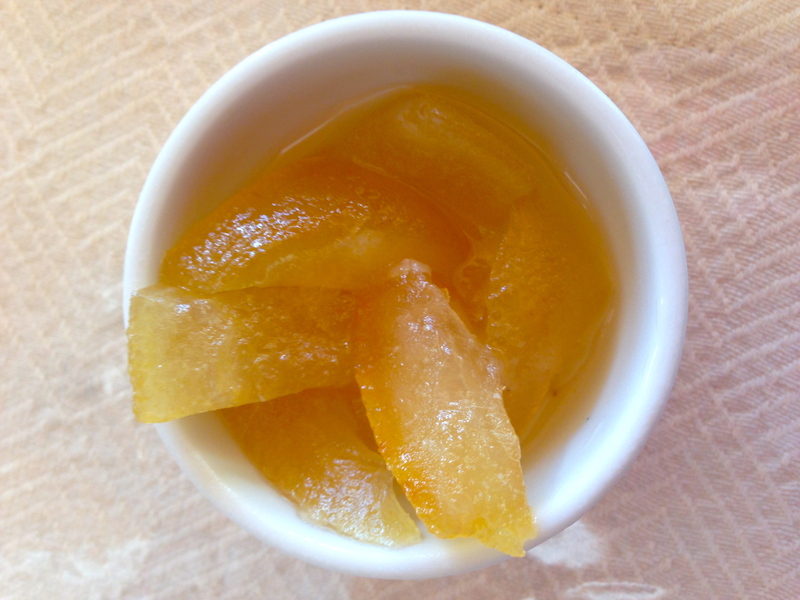 Candied orange peel – small but packs a sweet punch! 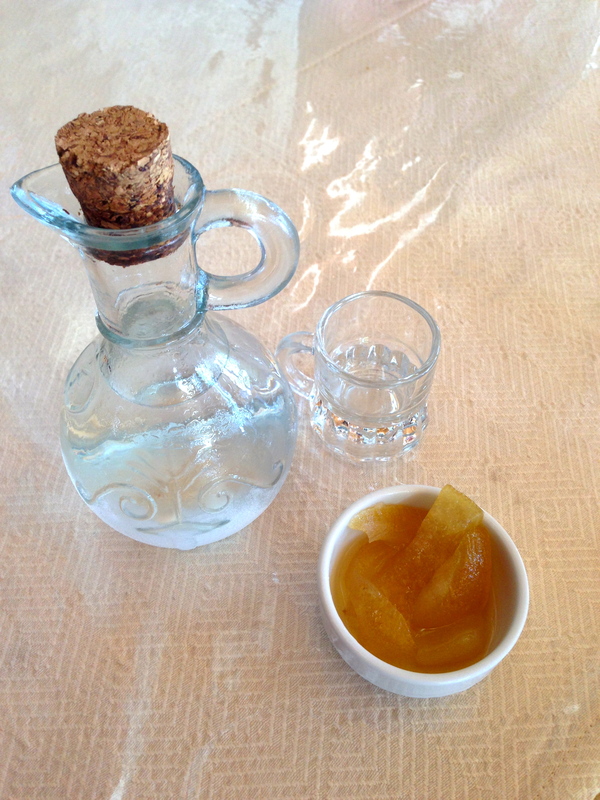 No meal on Crete is complete without a shot or two of raki. Or a local beer on the beach. Completely stuffed and little sunburned, we reluctantly left Crete with dreams of further exploring it and its neighbors and, again, soaking up the local culture by stuffing ourselves silly. Pop-Pop Santo would be very proud of your culinary photography! Here’s to civilized food! All your pics make me want to go back to Greece. 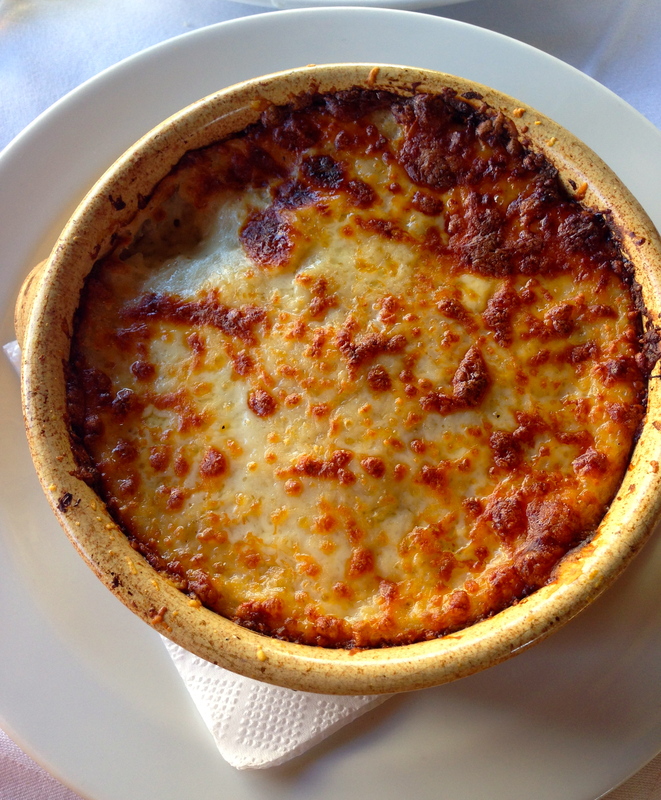 I loved the food… and moussaka was my absolute favourite! I had those too and they were amazing! I’d never had anything like them.